Maybe you’ve heard of substantially equal periodic payments, sometimes referred to as SEPP, or maybe more commonly “72(t)” or “72(t) distributions”. Most people probably haven’t, or if they have they have only a vague idea what they are about. It’s something of a complicated topic, but rest assured it can help your early retirement plans in different circumstances. If you retire before turning age 59½, you’ll not only pay ordinary income tax on those withdrawals, but you also have to pay a 10% early withdrawal penalty. Now before we get any deeper into SEPPs, let’s first state that the only way to create a flow of distributions from tax-sheltered retirement plans free from either ordinary income tax or early withdrawal penalties is to set up a Roth IRA conversion ladder. But even that strategy isn’t without tax consequences. In effect, you pay taxes early in the process (for the conversions), to generate tax-free withdrawals later. But SEPPs can help if you’re in an employer-sponsored plan or if you’re unable to implement a Roth IRA conversion ladder. Alternatively, you can use a SEPP with a Roth IRA conversion ladder or other income sources, at least until you reach 59½ . SEPPs, or 72(t) distributions, don’t come up often in early retirement discussions, probably because they’re complicated. But in some situations, they may be one of the best strategies to minimize withdrawals from tax-sheltered plans, and that’s why they need to be on your early retirement planning radar screen. SEPPs are available for both IRA accounts and employer sponsored retirement plans. That includes 401(k) and 403(b) plans, as well as traditional IRA accounts. However, there are different ways employer plans are handled compared to IRAs. You must take SEPPs for at least five years, or until the day you turn 59½, whichever is longer. For example, if you begin taking payments at 50, you’ll have to continue taking them until at least age 59½. If you begin taking distributions at age 56, you’ll have to take them until at least age 61–five years. While that’s taking place, there can be no plan contributions, conversions, rollovers, or non-SEPP withdrawals from the plan in question. Put another way, your retirement plan must be inactive except for SEPP distributions, and ordinary plan investment activity. Separation from service exception. You can begin a SEPP at any age you choose. But there is a special provision in the law that allows you to begin taking distributions penalty free if you are separated from employment for any reason during or after the year you reach age 55. (The age is 50 for public safety employees of the federal government, a state, or a political subdivision of a state, and participate in a governmental defined benefit plan). The separation from service exemption is for employer-sponsored plans only, and does not apply to IRA accounts. Once again, the basic problems with having most of your money in tax-sheltered retirement plans is the tax burden involved in making withdrawals prior to turning age 59½. At the same time, you may be completely dependent on those withdrawals since you won’t be eligible for Social Security for several years. Like a Roth conversion ladder, this is where a SEPP can help your cause. It’s important to restate the point that SEPPs don’t eliminate ordinary income tax on your distributions. But they do take out the 10% early withdrawal penalty, and that’s more important than it seems at first glance. If you’re in early retirement, your income is probably on the low side, and you’re in a low tax bracket. Paying only say, 12% in ordinary income tax on retirement plan distributions probably won’t be the early retirement deal-killer you might be imagining. Setting up a SEPP basically involves creating a distribution method–we’ll take a look at specifically how to do that in the next section. We’ll be using examples of annual distribution amounts, but you can also divide those into regular monthly payments. An advantage of the SEPP is that you have access to your retirement savings earlier than you normally would. That is, the benefit of having your retirement savings would be spread out to cover more years. That can be a big advantage when it comes to RMDs. The IRS requires RMDs beginning at age 70½. Since they’re based on life expectancy, you’ll have to begin withdrawing something like 4% per year from all your plans (the exception is a Roth IRA). Now if you’ve accumulated $2 million in retirement savings at that age, 4% will see you taking $80,000 per year. That may be more money than you want or need. It also holds the prospect that you’ll drain down funds you hoped to pass on to your heirs. But on a more practical level, it may also put you into a higher tax bracket. When added to Social Security and any pension income you might have, an additional $80,000 could put you into a much higher tax bracket. What’s more, the percentage you’re required to withdraw will increase progressively each year, as your life expectancy gets shorter. But if you’ve been using a SEPP to take distributions over a much longer period of time, you’ll have a smaller retirement portfolio by age 70½. That will make the RMDs smaller, and reduce the potential tax liability. After all, if you early retire, you won’t have Social Security and pension income inflating your income and tax liability. Required minimum distributions (RMDs). This method bases your annual payment on your remaining life expectancy. For example, if you’re 55, and your life expectancy is 85, you’ll be required to take a distribution equal to 1/30th of your plan balance. The payment will therefore change each year with the annual payment being slightly higher each year based on a declining life expectancy at each age. Of course, since your plan will continue to earn investment income, and the distribution is based only on a percentage, it probably won’t be exhausted even once you turn 85. No problem, the distributions will continue based on your remaining life expectancy from age 85. If you choose this method, you’ll have to keep it for life. Fixed amortization. Under this SEPP method, fixed payments will be distributed over a fixed term, for example 20 years. However, you do have the option to switch over to the RMD method after at least five years, but once you do you’ll be there for life. Fixed annuitization. This is a combination of the other two. In effect, you set up an annuity of fixed payments based on your expected lifespan. This method also gives you the option to make a one-time switch to the RMD method, which again, you’ll have to keep for life. Uniform Lifetime Table. This will generally result in the lowest annual distribution amount. Single Life Expectancy Table (see page 46 of link). 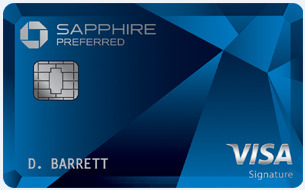 The main benefit is it enables you to choose the highest SEPP payout rate, if that’s what you want. Joint and Last Survivor Table (see page 47 of link). This method brings your spouse into the picture, mainly if there’s an age gap of more than 10 years between you. The greater the age gap, the lower the annual payment will be. So far, we’ve been discussing life expectancy in connection with SEPPs. But as with anything related to the IRS, it’s never quite that simple. The IRS also figures in interest rates under the Fixed Amortization and Fixed Annuitization methods. That rate is calculated as 120% of the federal midterm rate–which are US Treasury notes with terms of between four years and nine years. That roughly correlates to the average length of a SEPP distribution period. And of course, since Treasury yields change on a regular basis, the rate used will change as well. You’ll have to choose an interest rate for the Fixed Amortization and Fixed Annuitization Distribution methods. But that rate is the maximum rate you can choose. You’re free to select a rate that’s lower. You can choose a rate based on either of the two months immediately preceding the month when distributions begin. That will give you at least some control over your distribution amount. The rate chosen will be in place for the life of the SEPP. Using either SEPP method, you’ll have to combine remaining life expectancy with the interest rate. Let’s look at SEPP annual payments using all three methods. We’ll assume you’re 50 years old, have $400,000 in retirement savings, and a life expectancy of 34.2 years. We’ll assume a 5% annual rate of return on investment, which is not the same as 120% of the federal midterm rate (it’s not you–this is confusing!). Using the RMD method, you simply divide $400,000 by 34.2 years. That gives you an annual distribution of $11,696. At age 51, your life expectancy falls to of 33.3. Your $400,000 adds $20,000 (5%) investment income, but it’s paid out $11,696 the previous year. Your remaining balance than is $408,304. Dividing that by 33.3 years, your annual payout at age 51 is $12,261. Because the annual distribution is rising each year, your account may deplete at the end of your life expectancy. For the Fixed Annuity and Fixed Amortization distributions, you’ll have to add an interest rate factor. The annual distribution amount will be something very similar to a reverse mortgage calculation. With either distribution method, the annual distribution will remain fixed for the term. If you begin taking distributions at age 50 from a $400,000 plan, you’ll have a life expectancy of 34.2 years. But you’ll also have to add the 120% of the federal midterm rate. If that’s 2.98%, your annual payout will be $18,649. To get that number, you can use a mortgage calculator. You’ll have to enter a “loan amount” of $400,000, at 2.98%, for 34.2 years (not all mortgage calculators can accommodate the odd term, but try the one at Bankrate). These are just rough examples. The specific payout amounts and percentages will vary based on the life expectancy table you use, the assumed interest rate, and when you actually begin taking distributions. It’s usually easier to do a SEPP from a traditional IRA. This is because employer-sponsored plans usually have rules regarding distributions. Since a traditional IRA is completely self-directed, you have complete control over how you structure your SEPP. More important, you can set up a SEPP based on a single dedicated IRA account. For example, let’s say you have $1 million sitting in a 401(k) plan, and you want to begin taking penalty-free distributions beginning at age 50. You decide you need $40,000 per year to retire comfortably. You do a rollover of $400,000 from the 401(k) plan into a traditional IRA. That will provide you with the needed income level for 10 years. By then you’ll be 60 (rounding up from 59½), and you’ll be eligible for penalty-free withdrawals based on your age. Meanwhile, the $600,000 remaining in your 401(k) plan can continue to accumulate investment earnings over the next 10 years. At that point, you can begin making penalty-free withdrawals from that plan. In a perfect world scenario, the $600,000 remaining 401(k) will grow to $1 million by the time you turn 60. Using the safe withdrawal rate of 4% (explained in the next section), you’ll continue to receive distributions of $40,000 per year for the rest of your life ($1 million X 4%). Using the SEPP to cover your early retirement years will not only enable you to create an income flow, but also to maintain it throughout your life. Choose the right distribution rate. You’ll need to choose a distribution rate that will ensure your plan continues to pay distributions throughout your life. It’s generally recommended that you use the safe withdrawal rate (SWR) to make withdrawals from retirement accounts. The SWR is just a theory, but it holds that if you withdraw no more than 4% of your portfolio each year, you’ll never outlive your money. The theory part is that it assumes you will earn a combined average annual return on stocks and bonds of greater than 4%. That will make sure you have money for living expenses, but that your portfolio continues to grow to cover inflation. Whatever distribution rate you come up with for your SEPP should be as close to 4% as possible. If it’s in the 6% to 7% range, you may find yourself running out of money later in life. Don’t change distribution methods within five years. If you do, you’ll lose the exception to the 10% early withdrawal penalty. And it looks like the penalty will be retroactive to the beginning of the SEPP plan, plus interest. Consult with a tax professional before moving forward. As you can see from some of the detail in this article, setting up a SEPP is a complicated process. We recommend you consult with both your plan administrator and a CPA before choosing any particular option. The (sometimes) lifetime nature of SEPP distribution options, as well as the tax consequences, have to be carefully considered before making a final choice. Hopefully, we’ve given you enough information here that you’ll at least be able to ask intelligent questions. It’s important to stress that a SEPP is just one method of generating income from tax-sheltered retirement assets in early retirement that’s at least exempt from the 10% early withdrawal penalty. It doesn’t have to be your only method, and probably shouldn’t be. As discussed earlier, the Roth IRA conversion ladder will probably be a better method for most people. You will have to pay ordinary income tax on the retirement assets converted to a Roth IRA. But once you do, you’ll create a cash flow that’s not only penalty-free, but also tax-free before reaching age 59½. It may also be desirable to live on taxable investments, at least until you turn 59½ and can access your retirement plans penalty-free. That will be easier to do if you retire at say 55, than it will be if you go out at 45. It can be tough to save up a large amount of money without the benefit of tax deferral. However you work out the pre-59½ income situation, just make sure it will provide you with a definite cash flow for the many decades that early retirement creates. 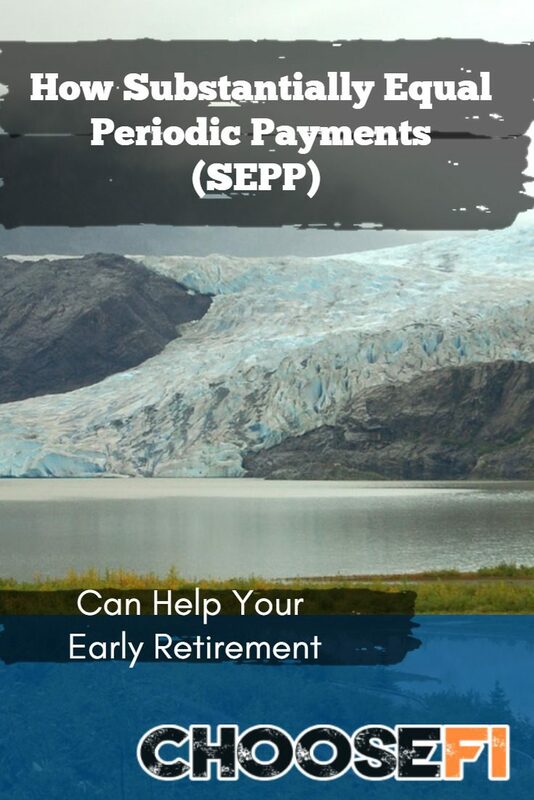 If you’d like a more detailed discussion of SEPPs, feel free to download a copy of The Complete Guide to Substantially Equal Periodic Payments (SEPP). J&B – I’m glad you’ve covered this in such depth here. Personally, figuring out how to bridge those “gap” years from early retirement to 59.5 is one of my biggest planning struggles right now. 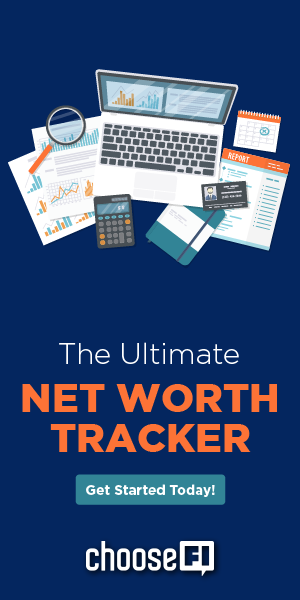 I’m new to FI-prepping (at age 29), though I’ve been a diligent saver for several years, and I’ve flip-flopped more times that I can count when choosing which buckets to prioritize (pre-tax, Roth, and taxable). I’ve studied your episode on the Roth ladder (and Mad Fientist’s articles), but am also concerned that tool might not be an option forever (as Wealthy Accountant pointed out in E025). While I’m heavily allocating to the 401k and HSA right now, I feel the need to also emphasize the taxable account in order to bridge those gap years, in case Washington decides to nix some of those tools in the future (like the Roth ladder) before I have a chance to pull that lever. Any thoughts on an alternative “order of operations” that doesn’t put all eggs in the pre-tax basket and still save for shorter-term goals? Quick rundown of my current allocation (of gross pay): 12% 401k, 4% HSA, 6% Brokerage, 3% House DP Fund, 3% Emergency (already have 3 months expenses, but would like to build to 6 mo). Thanks for all you do for the FI community! Mike, here’s my take on what I call “tax basketing” https://fitaxguy.com/where-should-employees-invest-part-2/ The biggest thing is save, save, save. Then its all about assessing your current situation and your future plans. If in doubt, Roth IRA contributions are pretty fantastic (assuming you qualify). The very good news from last year’s tax reform is that there was no major modification to IRAs and Roth IRAs (though Roth recharacterizations, which helped some people, were taken away). But you never know if unlimited Roth conversions (the lynch pin of the Roth ladder strategy) eventually go away. In that case having made Roth IRA contributions will be a good thing. Sean, thanks for the feedback. I read your article and I do agree that tax-free growth is ideal, but the obvious dilemma here is that the earnings are locked in til 59 1/2. While this may be a stretch, my plan is to retire (or at least reach FI) by age 40 – which gives me a little over 1o years. While I do have both Traditional and Roth 401(k)s that I’ve been contributing to over the years, I think emphasizing the taxable account going further is the only way that I’ll be able to bridge those “gap years” while the Traditional 401(k) to Roth conversions are seasoning. Mike, I realize everyone’s situation is different, but I think if you do the math year by year of taking a SEPP from your traditional IRA vs. converting those funds to a Roth first, you may find that the money runs out faster by converting to a Roth, assuming that future tax rates stay the same (which most people think won’t happen) and assuming the tax brackets are indexed for inflation in future years. In preparation for my early retirement this year (at age 47) I did some crazy detailed math scenarios on a spreadsheet, where I estimated pension income, 401k distributions, Roth IRA distributions, Social Security, Social Security taxes, income taxes, potential SEPPs, and potential Roth Conversions. I laid out everything line by line, year by year, and I was surprised by the results. The results tell me I could end up with way more money at age 100 by taking a SEPP from my 401k, rather than doing a Roth Conversion ladder over the next 10 years and paying all that tax up front, even though I end up paying over $500k more in tax over my lifetime. Apparently my spreadsheet is telling me that the penalty of paying tax now is greater than letting that money grow at market rates tax deferred and then paying tax on it later (again, assuming tax rates don’t change). I think one thing that factors into this surprising result is that if a person converts their entire portfolio to only tax-free assets like Roth and HSA, then they’ll be wasting their yearly standard tax deduction in the out years. In other words, if you convert too much to tax-free assets by paying a 15% tax now on the Roth conversions, you may be forfeiting a 0% tax that could have been paid on that income later to the extent that income falls under the standard deduction. The sweet spot would be to keep just enough in taxable or tax-deferred accounts that cause you to withdraw each year just enough taxable income to put you at the standard deduction, resulting in $0 tax. Of course, we cannot predict this exactly, and will have to adjust year by year. But don’t be afraid of leaving some of that portfolio in tax-deferred or taxable places. Also remember that if you keep your income low, you can get long term capital gains taxed at 0%. That means a taxable account can perform just like a Roth IRA up to a certain income limit! I was strongly considering just taking a SEPP out of my 401k, but because I have a small pension that pretty much already maxes out my standard deduction, I may live off taxable accounts instead and try to convert more to a Roth IRA at 10% to 15% taxes. Chris – Sounds like you’ve done the research! In truth, I haven’t gone to nearly the length that you have to determine which path is best. I’m afraid I just don’t understand all the finer details in order to do that. I look forward to the day when I can plot out a twenty year plan in my spreadsheet and figure out that “sweet spot” allocation for the various savings buckets. Just a small correction here, as this is not strictly true. Under FERS (Federal Employee Retirement System), a Federal Employee can retire with pension at any age after 25 years of service, if he is offered a voluntary early retirement (VERA). Using this option I retired early at age 47 with a pension. Granted, the pension is small (paying approximately 1% of your final 3-yr-average salary for every year you’ve worked), but it does inflate your tax liability immediately upon early retirement. Hey guys, I did find a very egregious error you should consider correcting in your otherwise erudite article. In the “How to Take a SEPP” section, you state that for the RMD method, you’ll have to take it for life. You also restate this under the other two methods when you consider the possibility of switching from those methods to the RMD method. Again, you state that you’re stuck doing this for life. This is dead wrong. When you take a SEPP via the RMD method, you do not have to keep that going for life. You only have to keep a SEPP going until the later of 5 years or age 59 1/2. At that time you can stop the SEPP, even if you were calculating the SEPP under the RMD method, and take no further distributions if you wish from that account until you are again forced in the year you turn 70 1/2 to start taking RMDs. And when we think about it, it makes sense that SEPP payments could be stopped after age 59 1/2. After all, the 72(t) / SEPP exception itself is an exception to the penalty for taking distributions before age 59 1/2. If you’re over age 59 1/2, there is no more penalty! You are free to withdraw as much or as little as you wish at that time. So essentially we need to distinguish between RMDs as it is traditionally understood, and the RMD method that is used to calculate a SEPP amount. Reference “When do I fulfill my obligation to take substantially equal periodic payments?” on the IRS Q&A page you linked to in your article. So you will also need to revisit the assumptions in your SEPP examples which assume the SEPP keeps going to age 85. Though someone could continue to take a SEPP to age 85, I doubt anyone in their right mind would do so, because after age 59 1/2 it’s not really a SEPP anymore, because there is no penalty for stopping a SEPP. But you also need to revisit the assumption in your SEPP explanation and examples that seem to indicate that you think the age 85 life expectancy is static. It isn’t. A person’s life expectancy changes every year. Though a person’s REMAINING life expectancy always decreases the longer they live, a person’s TOTAL life expectancy actually INCREASES the longer they live. The age they are expected to live to goes up! Therefore, if you take RMDs you will in all likelihood never ever deplete an account. In other words, life expectancy tables never have a year where a mere mortal is required to take a RMD of 100% (the account remainder) in that year. Even a 115 yr old’s RMD is calculated over a period of 1.9 years, requiring them to take a RMD of only 53% of the remaining balance. I bring this up because in your article you stated, “Because the annual distribution is rising each year, your account may deplete at the end of your life expectancy.” That is just not possible taking RMDs. Yes, you may get to the point where your account provides less than you need to live on, but it will not ever deplete, because there is no “end” to a life expectancy; there is always 50% of the population expected to live longer than a given life expectancy. So for example, let’s say someone starts a RMD at age 55 and uses a life expectancy of 29.6 years (age 85) per the uniform life expectancy table. The next year when he’s 56 his life expectancy is not 28.6 years, but 28.7 years. The following year is it not 27.6 years, but 27.9 years. This gain is small, but keeps increasing, so that by age 80 his life expectancy is 10.2 years (age 90). At age 90, his life expectancy is 5.5 more years (almost age 96). In other words, a person’s total life expectancy goes UP the longer he lives.